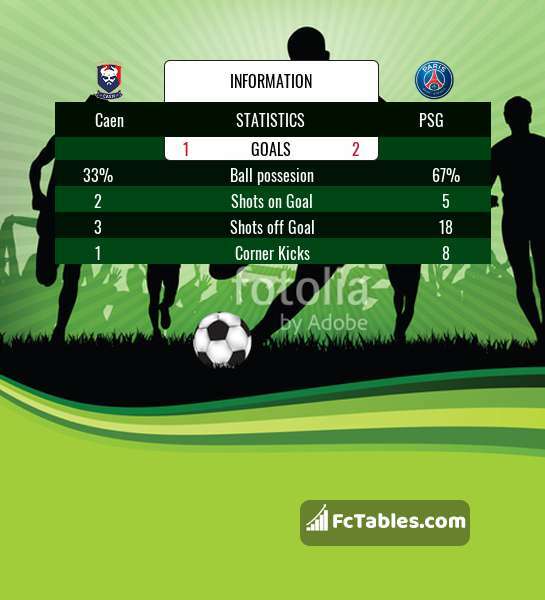 Kick off Caen-PSG in Ligue 1 on today 16:00. Referee in the match will be Hakim Ben El Hadj. Team Caen is in the releagtion zone of the table. 18 position. In 5 last games (league + cup) Caen get 2 points. 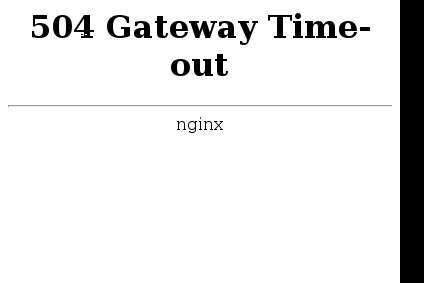 From 8 matches can't win a match. From 2 matches no lost a match. In this season games Ligue 1 the most goals scored players: Enzo Crivelli 5 goals, Rodrigue Casimir Ninga 3 goals, Faycal Fajr 3 goals. They will have to be well guarded by defense PSG. 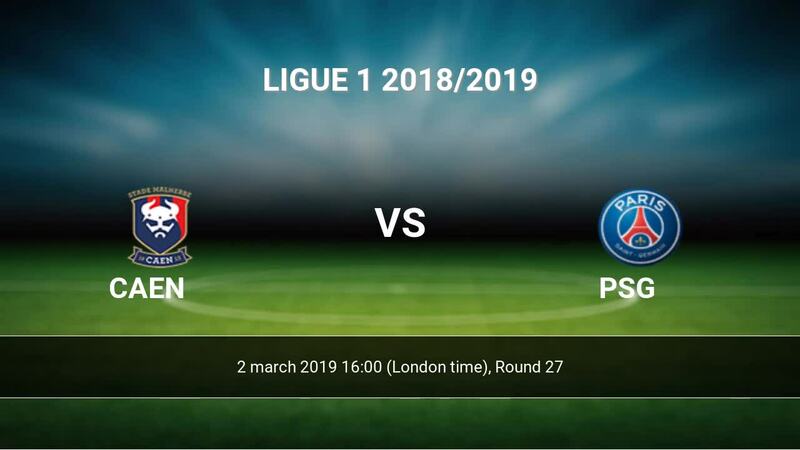 Players Enzo Crivelli 1 assists, Rodrigue Casimir Ninga 3 assists, Faycal Fajr 2 assists will have to be very well guarded by defenders PSG, because they have the most assists. Team PSG is at the top place in the table (1 place). PSG in 5 last matches (league + cup) have collected12 points. PSG has not been defeated from 4 matches. To defend Caen the most demanding players will be Kylian Mbappe Lottin 22 goals, Edinson Cavani 17 goals, Neymar 13 goals, because this season they scored the most goals for PSG of the entire composition. Most goals developed: Kylian Mbappe Lottin 5 assists, Edinson Cavani 3 assists, Neymar 6 assists. Injuries in the team PSG: Edinson Cavani, Neymar. Direct matches: PSG won more direct matches. 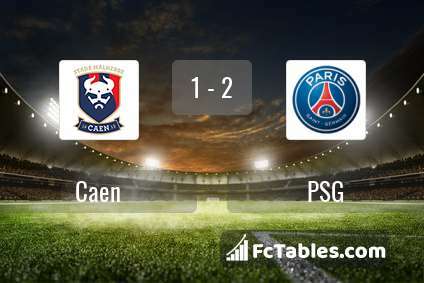 Caen won 2 matches , PSG won 12 direct matches, was a 6 draws. In 13 matches the sum of the goals both teams was greater than 2.5 (Over 2.5), and 16 matches teams scored more than 1.5 goals (Over 1.5). In 9 matches the both teams scored a least one goal (Both teams to score).